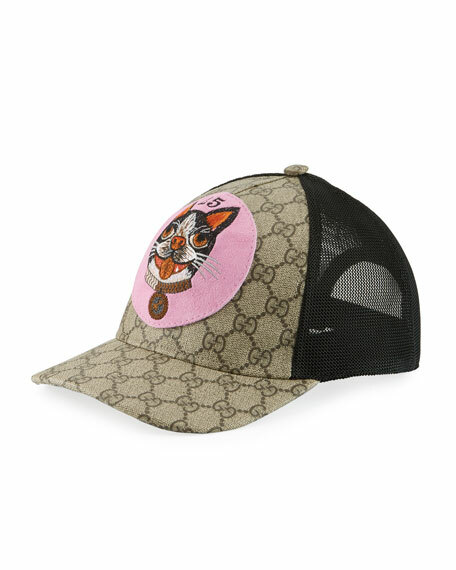 Gucci baseball hat with embroidered cat appliqué at front. Beige/ebony GG Supreme canvas, a material with low environmental impact. For in-store inquiries, use sku #2441848. 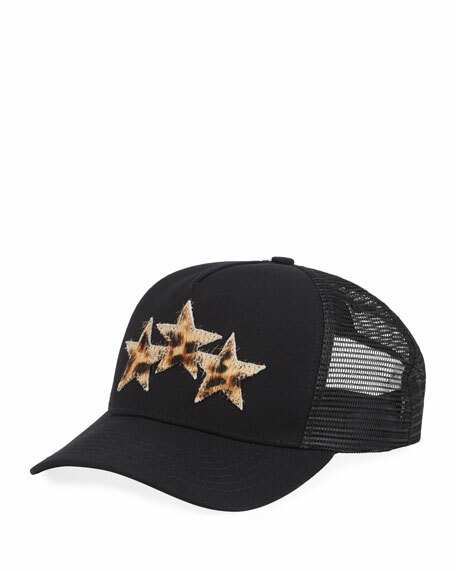 Amiri trucker hat with three star appliqu. Leopard-pattern dyed calf hair (USA) trim. Curved brim. Mesh back; adjustable hook-and-loop strap. Made in USA. Balenciaga baseball cap with embroidered "Balenciaga" logo. Paneled crown; button top. Downturn brim. Adjustable snap back. Cotton. Imported. Balenciaga fabric baseball cap featuring BB logo embroidery. Paneled crown. Curved brim. Adjustable back strap. 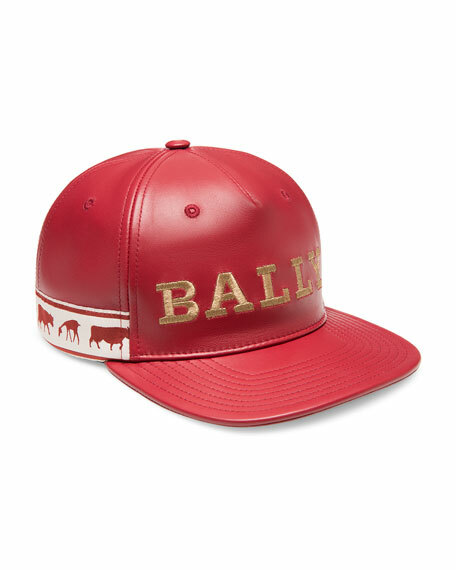 Bally baseball hat in lamb leather with logo embroidery on front and barnyard animals print around the back. Paneled crown with top button. Straight brim. Sheep leather trim. Made in Italy.